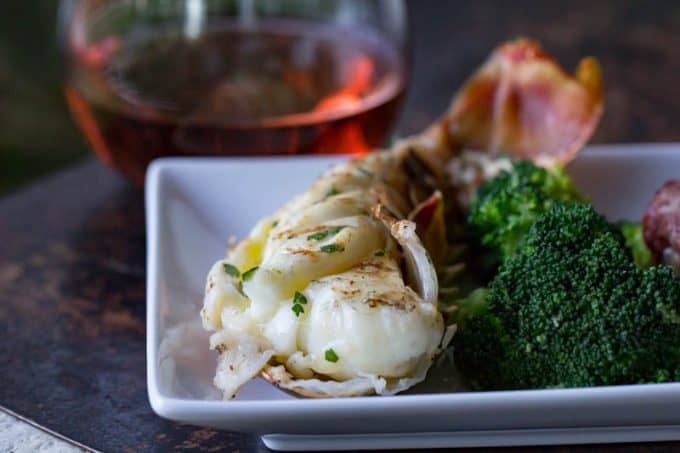 This Traeger Grilled Lobster Tail is a delicious way to use one of the best shellfish in the sea and make a special dinner that is also surprisingly fast and easy. I love seafood. All of it. Give me all of the scallops, shrimp, clams, fish, crab, oysters. Gimmie. As much as I love all of those things, lobster tails have a special place in my heart. The thing is, they are pretty easy to do well but equally as easy to do really poorly. 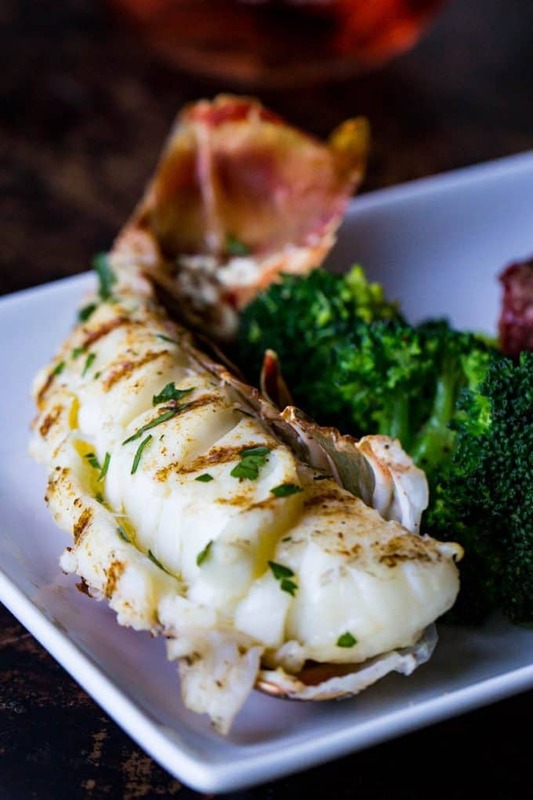 If lobster is overcooked, it takes on a rubbery texture and might leave you wondering what all the fuss is about. 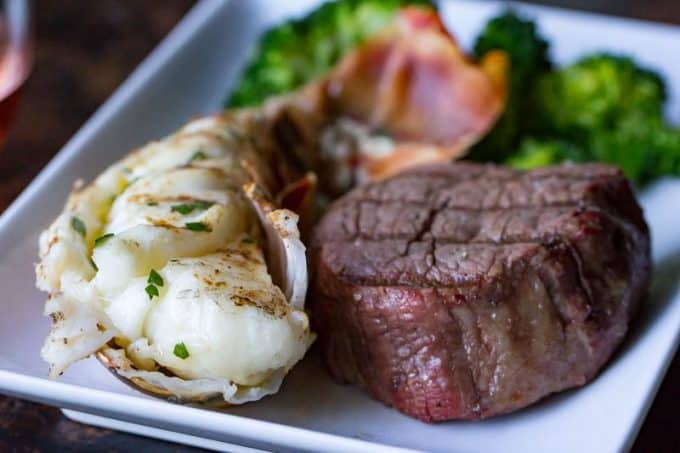 Not this grilled lobster tail. Cooking in on the wood-fired grill gives it just a touch of smoke, and makes it easy to cook evenly and quickly. 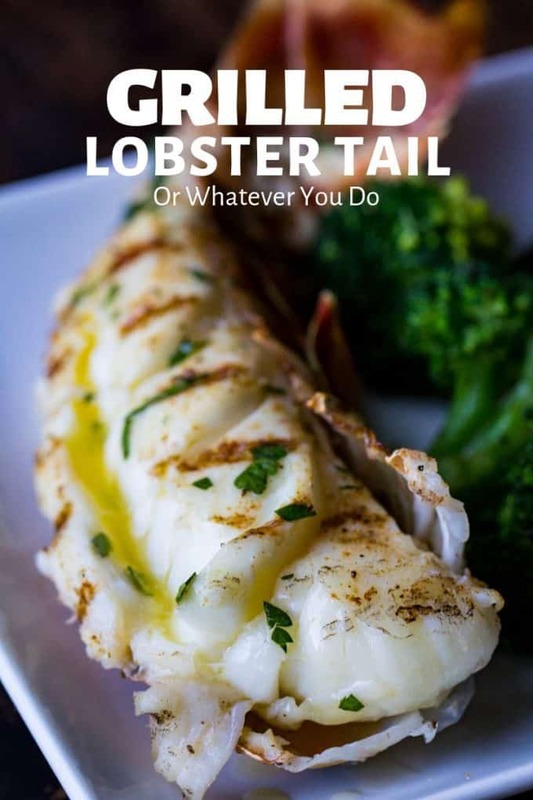 What temperature do you grill lobster tails? 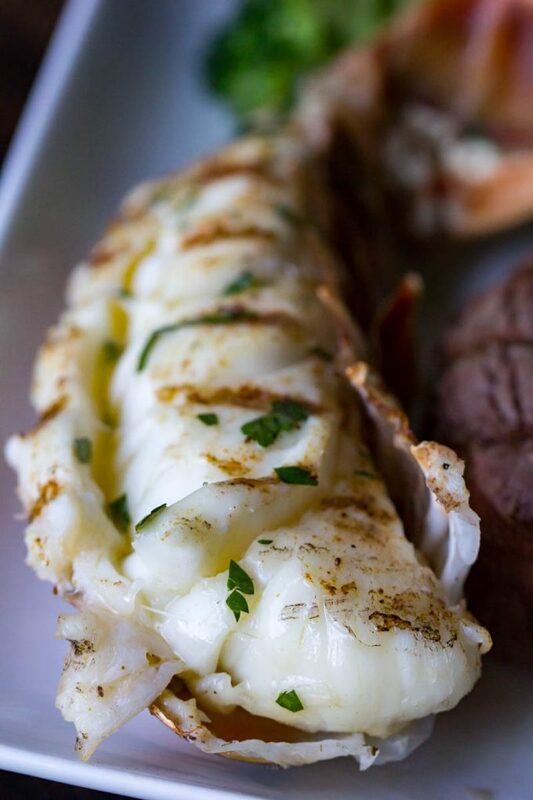 Lobster tails should be grilled over high heat. On the Traeger, turn it up to high and let it preheat until it gets to about 450°. 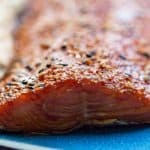 These tails cook quickly and only need about 10-15 minutes on the grill at this temperature. What’s the best way to cook lobster? My favorite way to cook lobster is to grill them, for sure, but there are many ways to make it well. 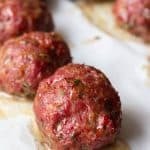 You can cook it in the oven, under the broiler, you can boil them, steam them, or poach them. Can you cook frozen lobster tails? You CAN, but the question really is SHOULD you. Cooking lobster from frozen will make the texture touch and chewy. Not anything like the tender and delicate meat that lobster is so famous for. How do you thaw frozen lobster tails? The best way to thaw lobster tails is in the fridge, overnight. 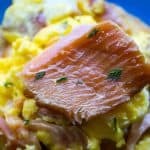 This is the most gradual and the safest way to thaw frozen seafood. 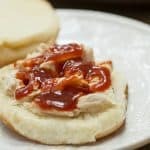 If you are in a time crunch, you can also thaw it in a bowl of cool water. ALL THE THINGS. Lobster is delicious, but it is also really rich so you need some sides to go with it that’ll compliment it well. 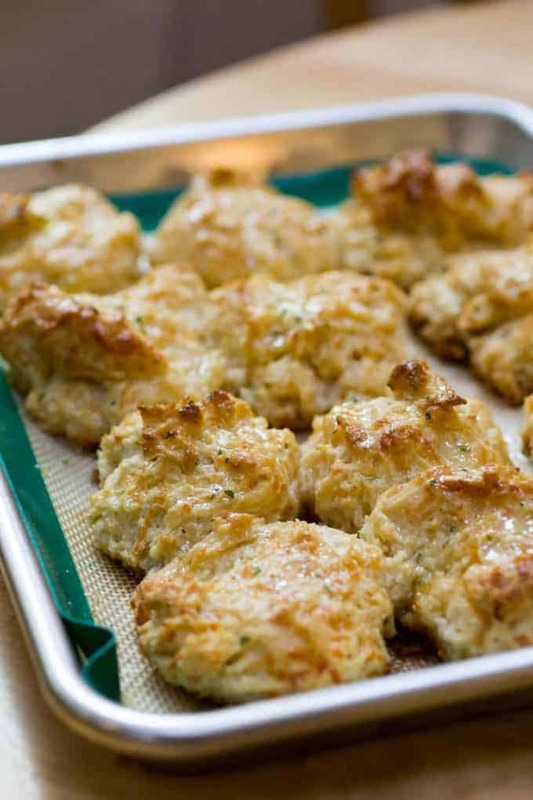 First, make yourself some grilled cheddar bay biscuits. Those buttery biscuits heavy on the garlic are some of my favorite parts about seafood night. Another great option is my browned butter and mizithra pasta. How do I reheat cooked lobster tails? STAY AWAY FROM THE MICROWAVE. For the love of everything good and delicious, lobster has no business being in a microwave, ever. Lobster bisque, mayyyybe you get a pass. Maybe. 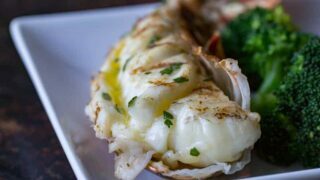 The best way to reheat a cooked lobster tail is to wrap it in foil and heat it up, gently, in the oven. 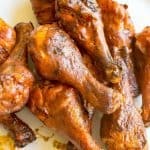 An air fryer would work also, as would a grill at low temperature. Just heat it for 5-10 minutes wrapped and then check to make sure it is heated through, and enjoy. 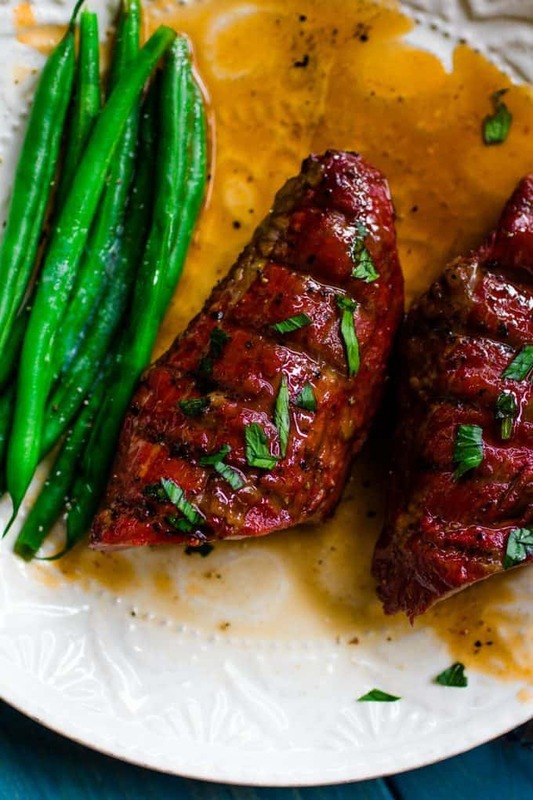 Need a good steak for your surf & turf? We have you covered! 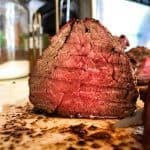 I’d personally recommend the Traeger Reverse Seared Hanger Steak. 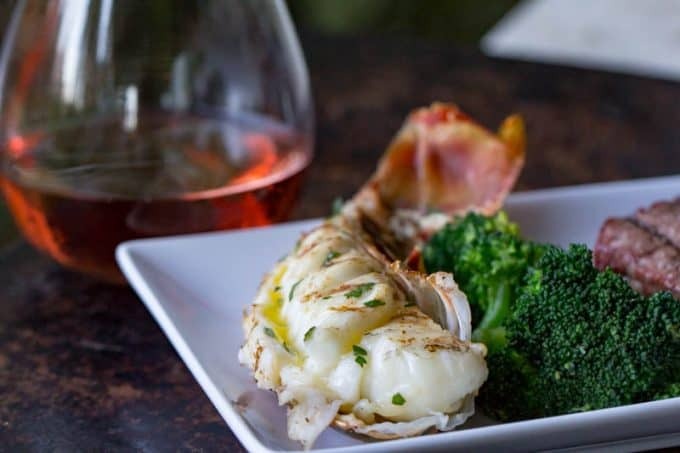 This Traeger Grilled Lobster Tail is quick to make, and fancy enough to serve your sweetheart for a fancy home-cooked Valentine's Day or special birthday dinner. 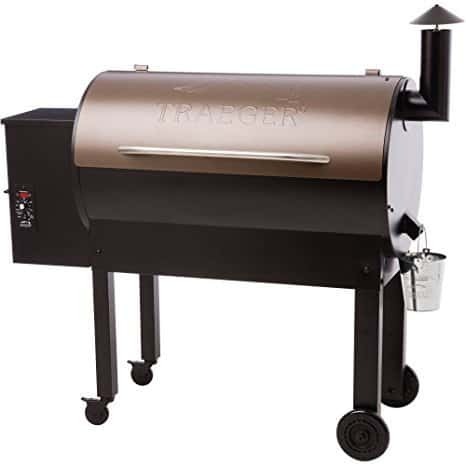 Preheat your Traeger to 450°. Slice the lobster tail right down the middle with heavy-duty kitchen shears. Season with the Old Bay and salt. Place the tails meat-side-down directly onto the grill grate. Grill for 10-15 minutes, or until the internal temperature reaches 140°. DO NOT OVERCOOK. 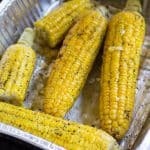 Remove from the grill and drizzle with melted butter. Serve hot. 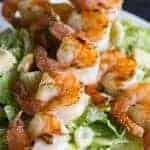 Sprinkle with chopped parsley if you are feeling fancy of taking pictures to show off to your friends and family not fortunate enough to be eating your lobster.